Cut price hotel minutes from Jose Marti Airport, perfect stopover or flight delay hotel, strategically located off Havana’s main highway. 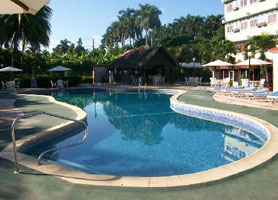 Hotel Mariposa Havana is a 2 star hotel which is named after the national Cuban butterfly flower. Hotel Mariposa Havana offers 42 standard rooms with air-conditioning, private bathroom, balcony & terrace, safe, refrigerator, room service, telephone, Wi-Fi, cable television and both 110 and 220 volts outlets. While the hotel is only 20 minutes from the center of Havana, it is also ideally located for guests arriving at Jose Marti International airport which is just 4 km away. If your plane arrives late and you need a rest before your drive to Pinar del Rio or a greater distance the following day, then Hotel Mariposa Havana is an ideal place for the night. The hotel is situated just off a major junction of Havana’s main highway called “ocho vias” (meaning 8 lanes) making your departure the following day very easy. The hotel also serves as a budget accommodation for visitors to Havana’s Convention center PabExpo which is a 5 minute drive away. The hotel is also popular with flight crews or boat crews who are moored at the Marina Hemingway, which is also very close. 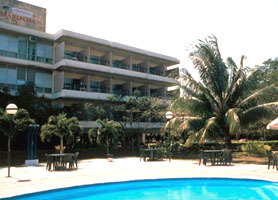 Hotel Mariposa Havana is an unpretentious low cost hotel offering cheap rooms, in an ideal location, for travelers wishing to leave from or, are arriving at, Havana’s international airport and need an economical place to rest. 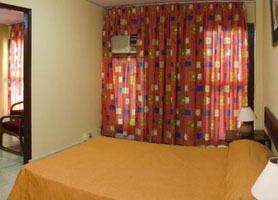 The hotel offers a large pool, 24 hour reception and ample free parking. Due to its very low rates and proximity to Jose Marti Airport, Hotel Mariposa Havana is usually in high demand and, as such, should be booked in advance. Our booking program allows reservations at Hotel Mariposa without down payment or deposit which will guarantee your dates and also allows preferential modifications should your dates change in the future. 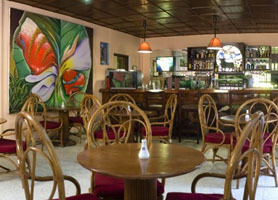 Our booking process is unique because it shows the best rate from all of these for Hotel Mariposa in Havana Cuba and the types of rooms available. 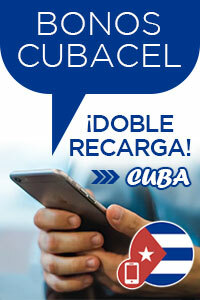 Our Hotel Mariposa Havana rate comparison is an industry first for Cuban Hotels. Once you’ve compared the rates, finalizing the booking at Hotel Mariposa takes just seconds and an immediate confirmation is provided in real-time.